The GPS/Mag V2 is identified by a label (shown below) on the BOTTOM of the GPS module. 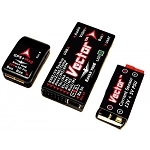 The GPS/Mag V2 is compatible with all Vector and MicroVector systems, after firmware update. 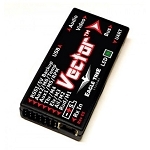 Vector software version 11.78 or higher is required for correct GPS V2 operation.